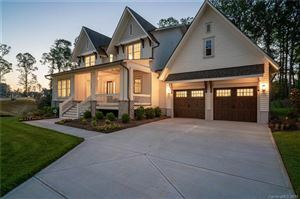 Oxford Place Subdivision Your Fort Mill, SC Homes for Sale from Arbie Turner Homes on Vimeo. The Turner Real Estate Group would like to welcome you to a tour of Oxford Place subdivision. Oxford Place is an upscale neighborhood located on Doby’s Bridge Rd. 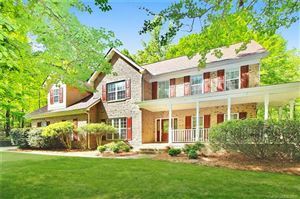 In Fort Mill, SC with easy and quick access to HWY 521 and the Ballantyne area of Pineville, NC..
Oxford Place is a fairly small neighborhood, containing only 106 homes. Privacy abounds with most lots in excess of 1 acre. Many lots are heavily wooded, adding to the feeling of seclusion. Construction in Oxford Place started in the late 1990s and there is a good amount of diversity in the architectural design which tends to be traditional. Houses in this neighborhood generally range between 2500 to over 5000 sq ft contain 3 or 4 bedrooms, and are currently on the market for 295,000 to 500,000 thousand dollars. Lots are large and well maintained. Oxford Place is only a few miles from HWY 521 in Indian Land which is high growth area. Local dining, shopping, and all genres of business are abundant in the area. If you are looking for a private upscale neighborhood with large homes, beautifully landscaped lots, and great access to shopping dining, and business then please call us to check out Oxford Place in person.